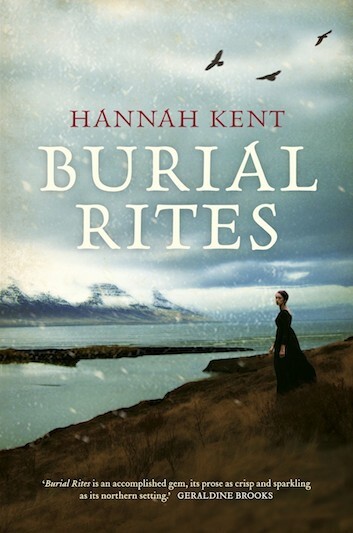 We begin with Hannah Kent’s Burial Rites. It’s set in Iceland. I’m not a fan of cold weather (at all) and yet I really, really, really want to go to Iceland. 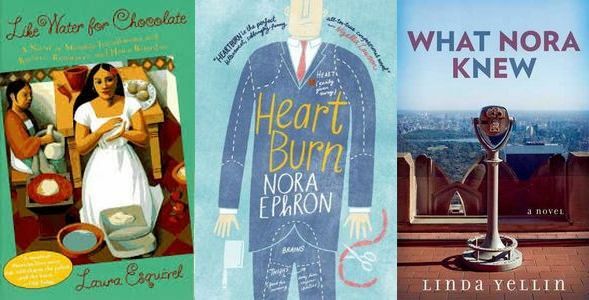 Which leads me to Like Water for Chocolate by Laura Esquivel – because I also really, really, really want to go to Mexico. But it’s also a book about food. And love. And anyone who has read it does not forget the wedding cake with one very special ingredient. If we’re talking food and love then I can’t pass Nora Ephron’s semi-autobiographical novel, Heartburn. Heartburn leads me straight to the most enjoyable ‘chick-lit’ I’ve read in a long time – What Nora Knew by Linda Yellin. It’s the story of a woman using Nora Ephron’s films as a guide for her romantic life. This book is begging to be made into a film. Begging. Another book that made me think ‘film’ the whole time I was reading it was The Rosie Project by Graeme Simsion. It almost read like a script (and when you know the history behind the book, it’s not surprising). The Rosie Project is set in Melbourne, predominantly at The University of Melbourne. Think Melbourne Uni and Helen Garner’s controversial non-fiction book, The First Stone comes to mind. 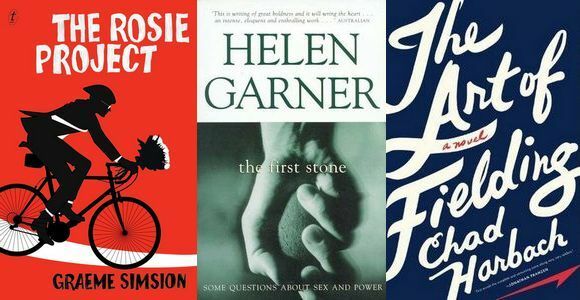 The First Stone is an account of a 1992 sexual harassment scandal at Ormond College, one of the residential colleges of the University. I was an under-graduate at the University at the time – needless to say it caused a furore on campus. Residential university colleges propel me toward numerous books (I have a thing for stories set in boarding schools) but the standout is Chad Harbach’s The Art of Fielding – it’s a baseball story set in a college in New England. So there we have it – from Iceland to Mexico to New York to Melbourne to New England and from the 19th century to the present – all in six moves. Just quietly, I have loved taking part in this meme – thanks Annabel and Emma. Great links 🙂 I also hate the cold yet want to visit Iceland! Do read The Art of Fielding, it’s brilliant. The First Stone made a huge impression on me all those years ago – although the story is memorable, it is actually Garner’s writing style that left an impression. Great chain! I’m desperate to go to Mexico and Iceland too. I love this meme too- great fun! 🙂 Thanks for swinging by my blog! Iceland is lovely, the food is so, so bad. And I’m not picky and I’m adventurous. I assume you have some sort of spring break in Australia – is it common for kids to go on a vacation during it? It is here and Mexico is the go-to destination. It can be a lot of fun if you don’t go during March or April (I swear I was never that obnoxious when I was 20… I feel old now). We don’t have a Spring Break tradition. We have a giant alcohol-fueled tradition called ‘Leavers’ when you finish high school. Here in Western Australia, lots of leavers go to Rottnest island. Which is NOTHING like Mexico. I heard there’s a road that goes all the way around Iceland – I want to drive it. Ten years ago a friend and I drove around Ireland and it was the BEST trip – when I travel I like to see one place thoroughly rather than a whistle-stop tour (but it sounds like I’ll need to pack snacks for my Iceland adventure!). I think I like the idea of Mexico perhaps more than the reality. People I know who have been were disappointed – we’re a little spoiled when it comes to beaches in Australia so travelling overseas for a beach can be a bit crazy. We do have a school-leavers scene here (called ‘Schoolies’) although it wasn’t a thing when I left school (because: old). Most kids in Australia go to the Gold Coast (in Queensland) or another beach town called Byron Bay (which is beautiful). I think for the people who live in those towns, it must be two weeks of hell. The whole thing is becoming heavily policed now, so some kids are heading to Bali. Needless to say, when my kids finish school, the only chance they have of going to Bali, is if their mother comes too. Hi Kate, thanks for joining in – I’m fascinated by the different directions these chains have gone in. I don’t usually read chick-lit but I’m a sucker for a rom-com and What Nora Knew is a pretty brilliant premise for a book – I’m tempted. I love the connection between The Rosie project and The First Stone, because part from the Melbourne Uni connection, you couldn’t get two more different books, although both very successful examples of their genre. Have had The Art of Fielding recommended by so many people – i MUST read it. I think you can safely chalk Six Degrees up as a very successful meme – the chains are fascinating. I’ll very occasionally read chick-lit and What Nora Knew was enjoyable, if only for all the Ephron references (Rory didn’t mind it either, so that’s tow of us!). And yes, Rosie Project and The First Stone couldn’t be more different! It’s been a long time since I read The First Stone and think I might re-visit now that I’m back on campus. I don’t want to over-sell The Art of Fielding because it builds expectations… But it was, without question, my favourite book of 2012. I didn’t want it to end. I laughed, I cried – it had everything for me. I’ve only read 2 of the books in your chain, The First Stone and Like Water for Chocolate! I think I am probably the only person in the world not to have read The Rosie Project but I’m meaning to do that one for my video book chat in May. I would never have thought of Like Water for Chocolate as linking in any way to Burial Rites so it just goes to show all the strange and wonderful ways our minds work. And now I have a few new titles to add to my to-read list; Heartburn especially sounds great. Heartburn shows off Ephron’s talent – such a funny woman. And do make time time for The Rosie Project – it’s light, it’s fun and has memorable characters (although I’m a little disappointed to hear that the movie version will be shot in America and not at Melbourne Uni). Funnily enough, I was just arguing with someone recently about THE FIRST STONE. I was also an undergrad at Melbourne Uni at the time & heard one plaintiff’s side of the story. Amazing that the case continues to cause controversy. I really enjoyed reading your list. I think you have just swayed me to read The Rosie Project! Look forward to reading yours again next month. The Rosie Project is good, light fun – hard not to like.